You might wonder why I'm writing this post on my genealogy blog instead of my house history blog. The answer to that is it's really directed at genealogists not house history researchers. Lately I've been writing a lot about being a house historian and how I got started. Many genealogists do house histories part time and some even switch over to it full time. If you're going to make the leap keep in mind that house history clients are very different from genealogy clients. Most genealogy clients are also genealogists themselves or have been exposed to genealogical research. Genealogy clients tend to hire a professional when they need help in a geographic area far from their home or need help with a brick wall. 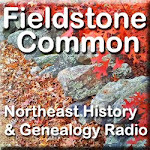 Most house history clients are not genealogists nor are they even historical researchers. They do, however, tend to be history buffs. While there are genealogists in the house history community (they turn up a lot at my talks) they usually want to do the research themselves instead of hiring a professional. That makes complete sense because they have the skill set to do it. House history clients may not even care about the history of their house (though most will). One common reason that people hire house historians is to determine the age of their house so that they can put an historic house plaque on the front. For these clients the original owner/builder might be the only previous owner they are interested in learning about. These house history clients may or may not be working with a local historical society or commission who regulates the distribution of plaques. That all depends on the town where the house is located. In some towns home owners put up the plaques themselves. In other towns, epic battles can ensue between historic commissions and home owners about the age of a house. In that case a house historian will be brought in as the expert. In most cases, though, a house history simply hasn't been done yet to determine an accurate year (or range of years). Many historic home owners have specific questions that relate to the physical structure of their house. Sometimes they might want to know when the various sections of their house were built. 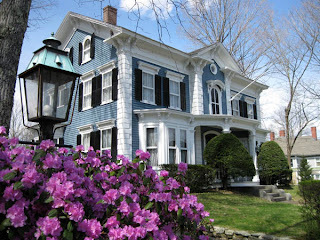 In New England it's very common for an old house to have additions from different eras. Sometimes they might have a question such "I've been told there was a fire in this house. Is that true?" In cases like these it might be necessary to work with a historical contractor who can "read the walls" in addition to your work on archival research. Building relationships with other historic house professionals such as architectural historians and historic house contractors is an important aspect of house history work. A high percentage of house history reports (from my experience) are created as birthday and anniversary presents. Don't expect to prepare a first or a fifth year anniversary present but rather a 20th or 30th anniversary gift. As the years go by spouses look for more unusual presents to give to a partner who already has everything. House histories often make a distinctive and unusual solution. While it's true that genealogy reports are also given as gifts, you'll find it has a much higher ratio among house history clients. Genealogists who hire professionals generally regard purchasing those services as necessary and essential. They are on a mission to trace their family history and nothing will stand in the way of accomplishing their goal. House history clients do not feel that sense of urgency. They are more likely to be people who have expendable cash and are looking for something unusual to spend it on (see #4 above). Therefore you'll want to pay careful attention to where you target your marketing efforts so that you can achieve beneficial results. Did these differences surprise you? Have you found other ways in which house history clients are different from genealogy clients? Have you ever considered adding house histories to your range of client offerings? Let me know!